In my comic sessions, I’d mapped out an order of the existing scenarios in the Days Gone Bye expansion to fit the storyline I wanted to create. 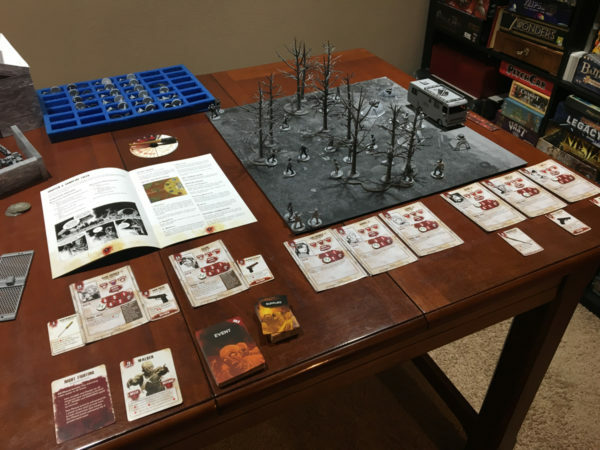 My goal in running those was to use the recommended set up so I could also follow the story and balance the designers were creating. In plotting our my own story, I couldn’t get one of the scenarios to fit so I decided to play it “straight” at the end of my 6 x 6 challenge. 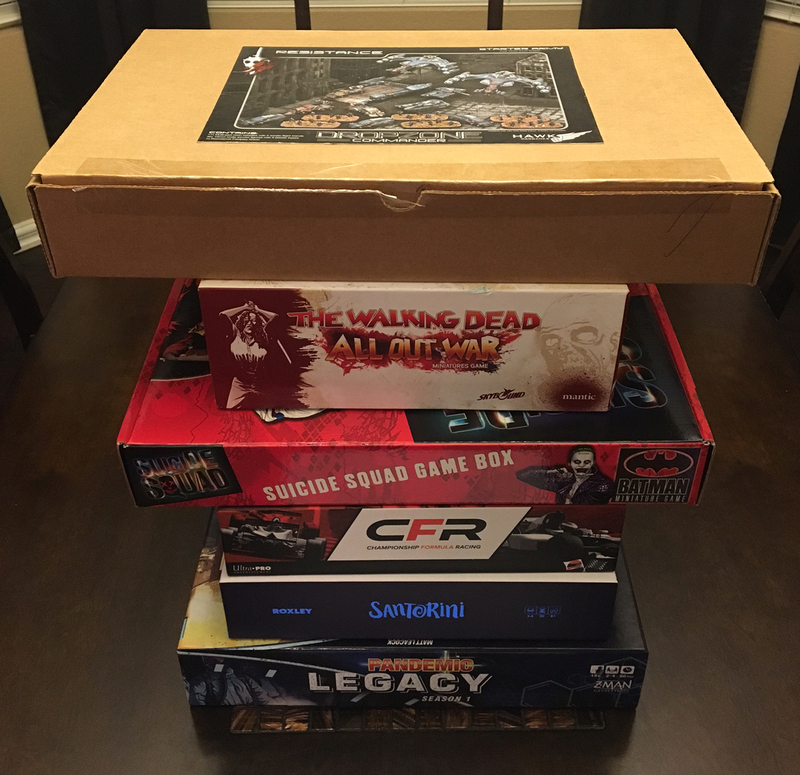 With my new lights in place (having been put through their paces in my latest Walking Dead comic session) and a pressing need to complete one more Batman Miniature Game before the year end for my 6 X 6 challenge, we put together our last Batman game of the year. 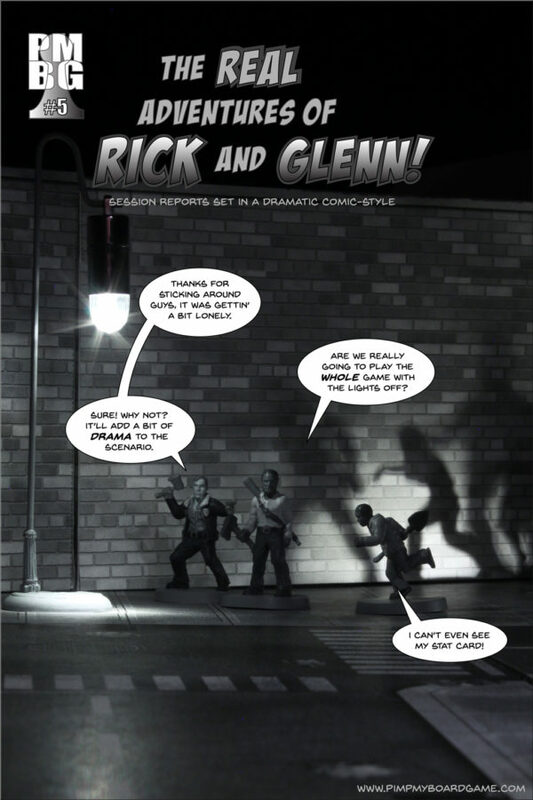 The year is drawing to a close and I wanted to make sure I got one last issue of my “The Real Adventures of Rick and Glenn!” comic in. This issue completes the first arc I had intended and I hope to continue the next arc in 2018. 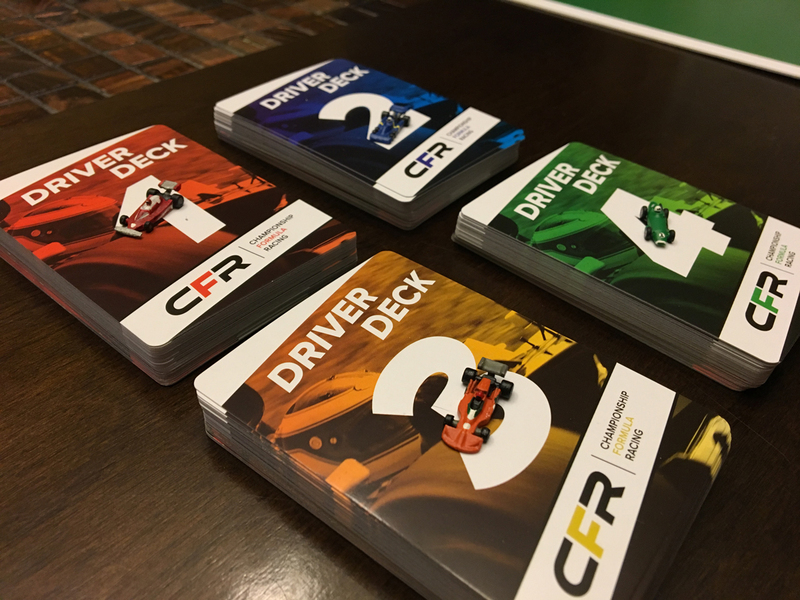 The weather finally turned around here and killed my last Championship Formula Racing game night so I decided to end my 2017 CFR 6×6 challenge with a maxed-out solo race against seven Historical Drivers. After painting up my Marine Force Recon group for Dropzone Commander, I thought I’d be all set for our next Winter Campaign game but at the last minute, I decided to switch gears and go back to playing the Feral side of Resistance and play with the Skulltaker and Berserkers I painted up a while back. This build (now at 1,600 points) would need another unpainted group of minis, my Occupation Veteran infantry. So here it was again, furiously painting up a set of minis right before a game. 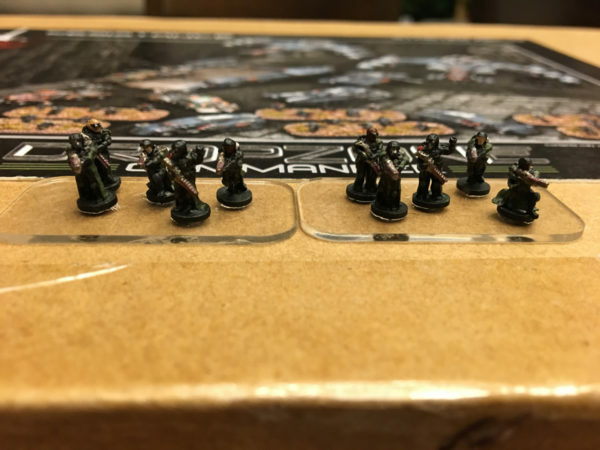 My impromptu painting session culminated in another Batman Miniature Game earlier last week. I kept the same crew as last time and my friend swapped out Comissioner Gordon for the SWAT Alpha member that I just painted up and Agent Ron. 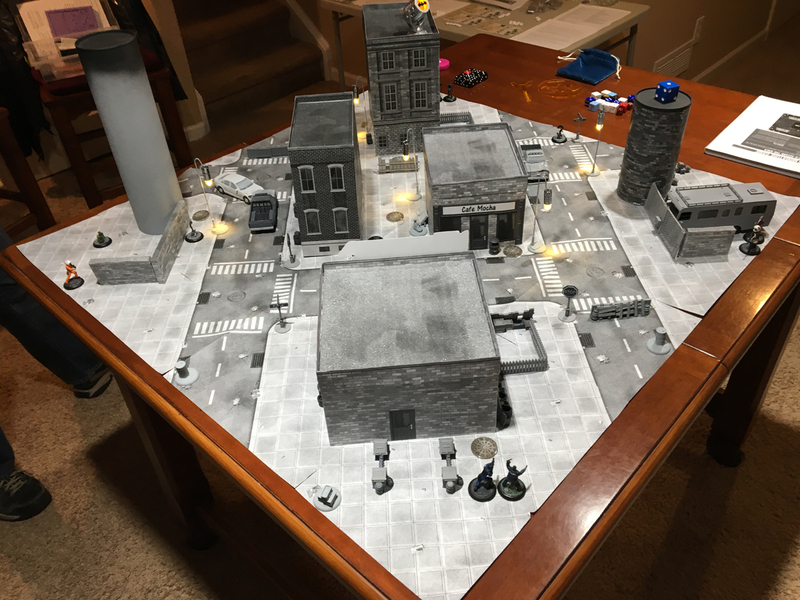 I still had the last map set up so we decided to keep it and switch scenarios. 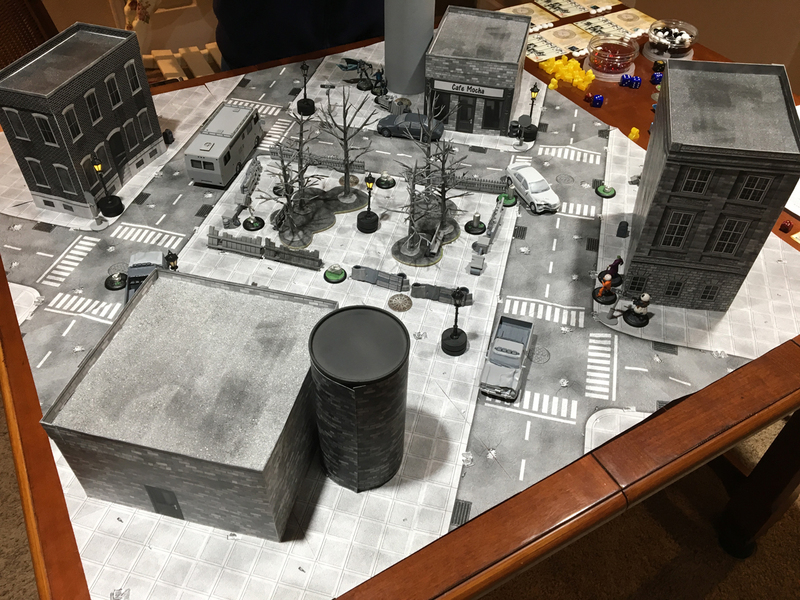 This time we chose the Skirmish scenario which only cares about killing opponent figures. You still have objectives but the scenario doesn’t favor them any more than normal. 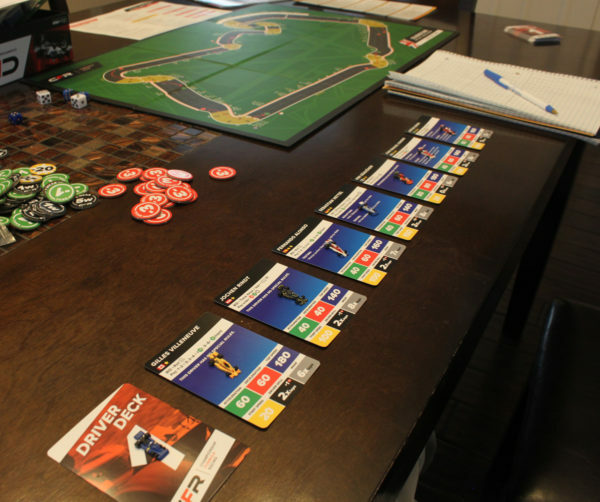 I had some time this weekend and was in the mood for racin’ so I threw down a solo game of Championship Formula Racing. I had to dust off the rules since I hadn’t played it since this summer but after about an hour of setup and reviewing the Historical Driver AI rules, I was ready to go. This race went a little long so I’ll catch you after the jump. This weekend we had our second Dropzone Commander game in our three game campaign cycle. 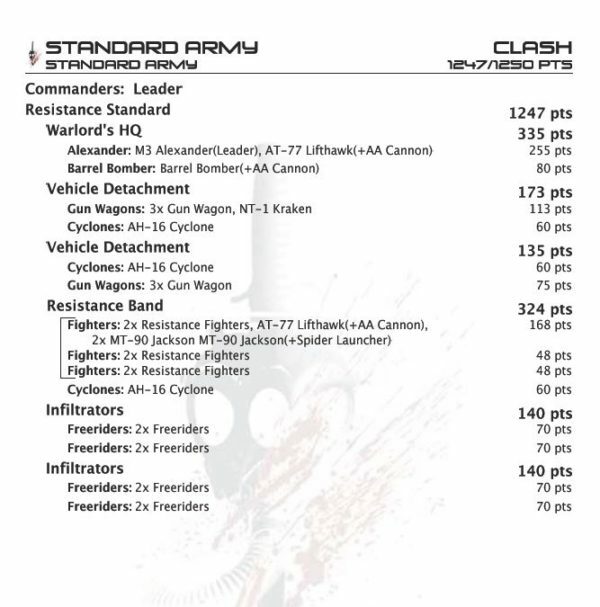 This time we were up to 1,250 points and were pushed beyond the smaller Skirmish army build options and into the full Clash-sized rules.